"Trump's comments about Haiti reflect nothing on the amazing country and only on his own racism and xenophobia"
Arcade Fire frontman Win Butler has accused U.S. President Donald Trump of "racism and xenophobia" after comments allegedly made at the Oval Office yesterday (January 11). Trump reportedly made disparaging comments about Haiti and various African countries during a meeting about an immigration deal, saying that the United States should be welcoming people from countries like Norway rather than people from "shithole countries." A bipartisan DACA deal seeking to grant legal status to immigrants that entered the U.S. illegally as children is currently in the works, but when it was mentioned that Haitians were among those who would benefit from such a deal, Trump allegedly said, "Why do we want people from Haiti here?" Trump has since denied making the particularly vulgar comments on Twitter. On Butler's own Twitter, he denounced the president's comments, rejecting them as racist and xenophobic, and saying they "reflect nothing on the amazing country." He continued, "Haiti is one of the most special and amazing places I've been on this earth, and we need more Haitian-Americans." Butler's wife and bandmate Régine Chassagne was born in Montreal but is of Haitian descent; her parents immigrated to Canada during François Duvalier's dictatorship. She is a co-founder of KANPE, an organization that supports community services in Haiti. 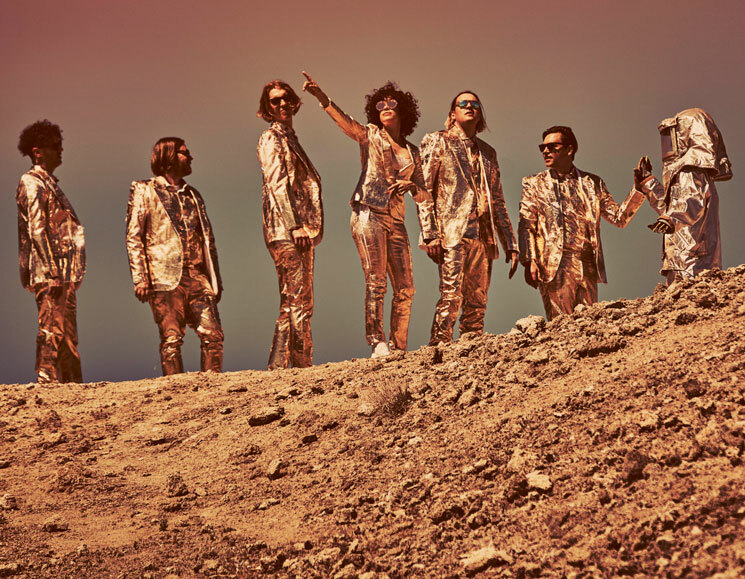 Arcade Fire paid homage to the country with a song called "Haiti" on their debut album Funeral.